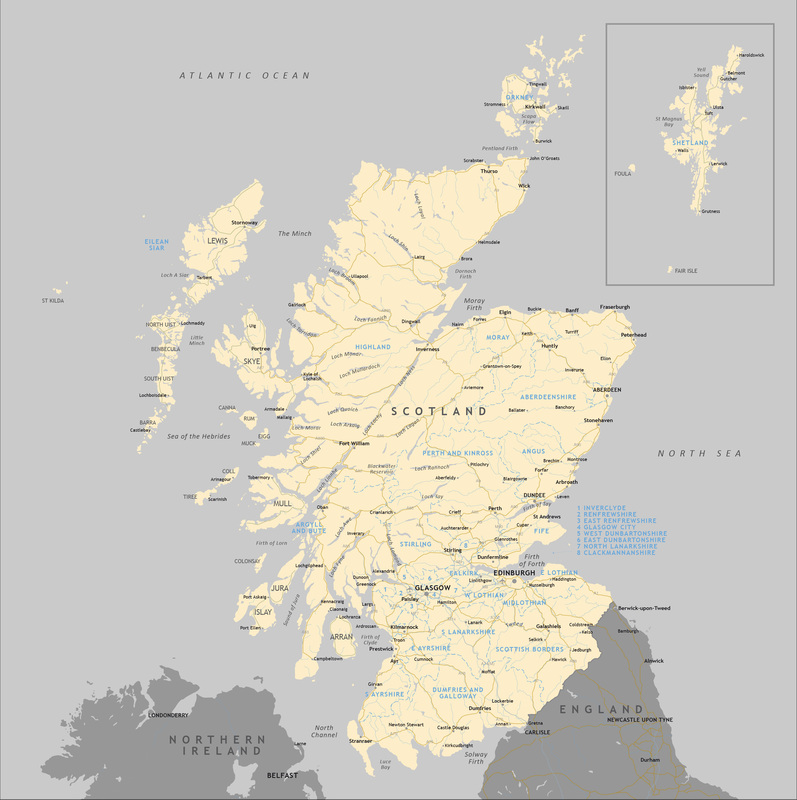 All the counties of Scotland are plotted and named, and you have the option to show them with their administrative boundary lines and/or as areas of colour. The smallest counties of central Scotland are numbered with a key off to the side for the sake of legibility at the recommended scaling. The principal towns, roads and ferry routes are shown. There is also a vast amount of detail on the islands, lochs and rivers on the base layers, making an impressive backdrop to the political data. You can customise the colour, style and visibility of any layer, and add extra data as you please.